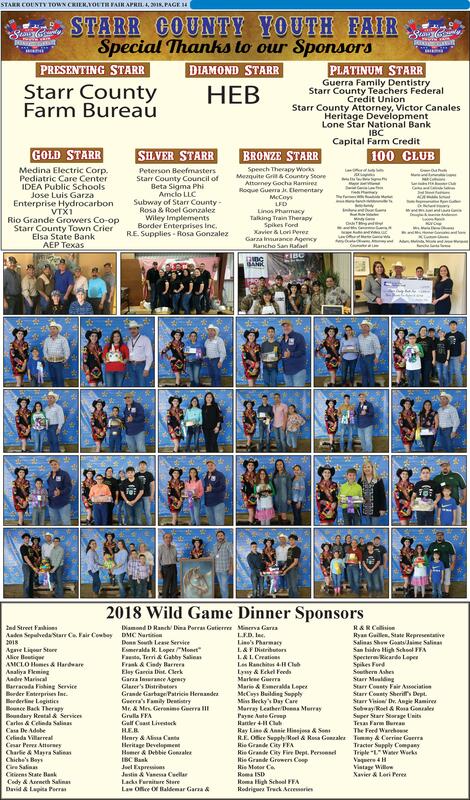 Many thanks to all of our 2018 fair sponsors for their generous support of the youth of Starr County! 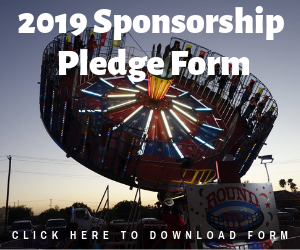 If you are interested in sponsoring this year's fair, contact our chairman, Deborah Mcguffin-Gonzalez, any fair board member or click on the photo below to download the 2019 Pledge Form which contains our sponsorship levels. 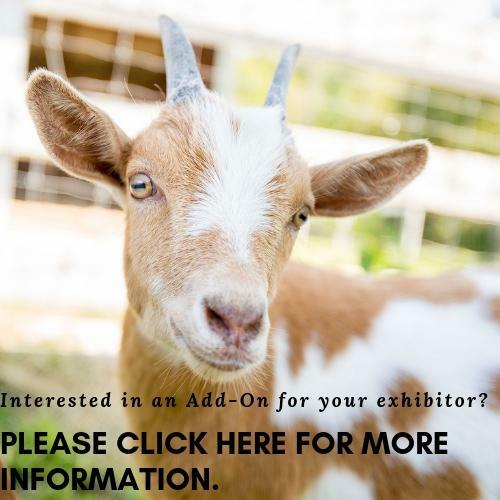 Supplemental add ons are for any student in the Parade of Champions. The minimum amount will be $25 and up. The supplemental add on is an additional amount given to the student in addition to the premium pay out. Please remember this goes directly to the student for their hard work and accomplishments. Family and friends may donate to the students during the fair, once the judging is complete. Add ons will be accepted until 12 noon on Saturday, March 2nd and must be paid in full. Add ons and sponsors will be recognized during the Parade of Champions.  Thank you in advance for your continued support.